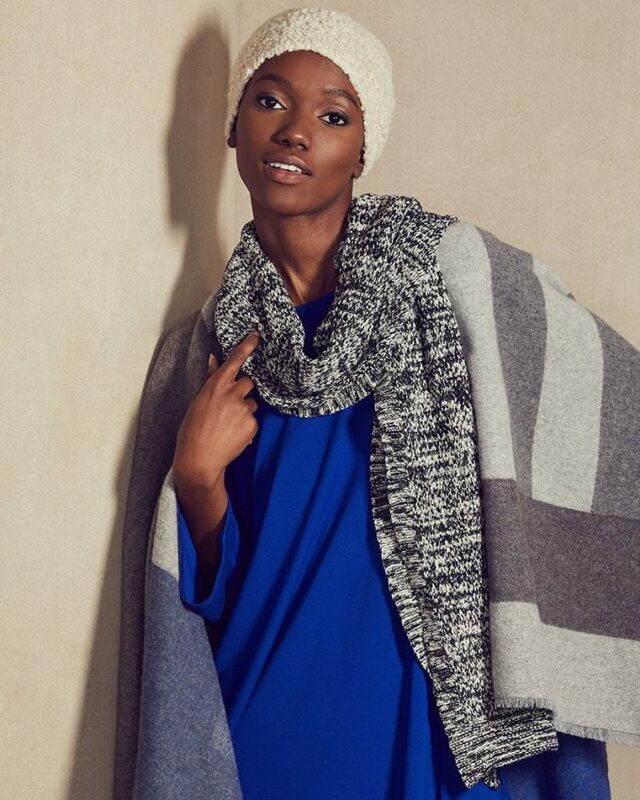 With winter setting in, you’ll want to layer up in these cozy knits from Eileen Fisher Fall 2018 collection. For more, not even ready for your new season wardrobe, these new collection a good option for the holiday season, yeah, I mean, gifts. Looking for a great gift? Matching Merino wool accessories in colorful stripes are sure to bring a smile to her face. A comfy wrap is the perfect way to add a little warmth. This neutral palette works well with just about anything, so you can wear it at the office, out running errands, or just relaxing at home.